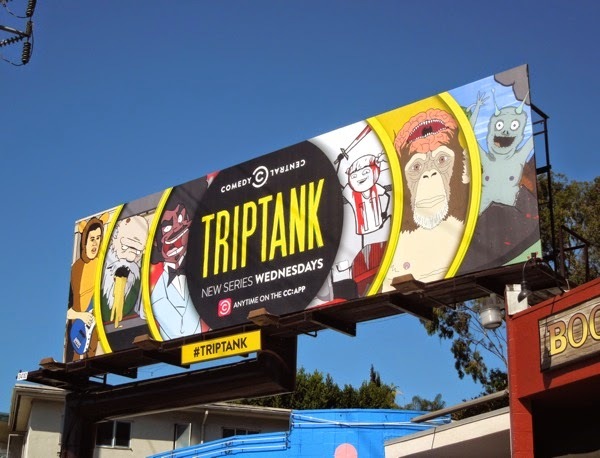 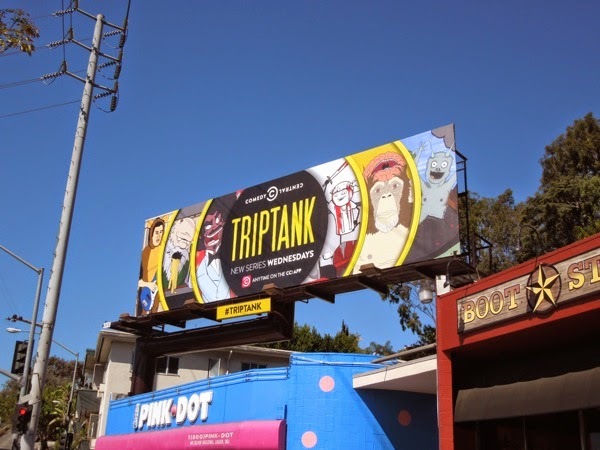 This mind-warping billboard for Comedy Central's new animated sketch show hints at the eclectic mix of crazy animated shorts you can expect from TripTank, with a jumble of different animation styles and a diverse range of writers and cast talent contributing to the new series. 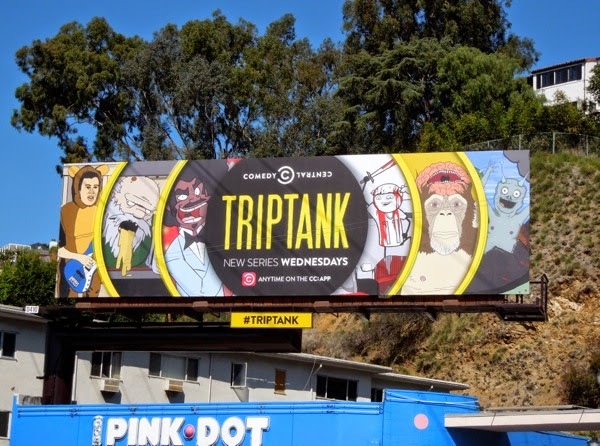 It looks like there may be something for everyone, but only time will tell whether this scattershot approach to animated comedy will work and whether viewers will stick through the not-so-good shorts to get to the good stuff. 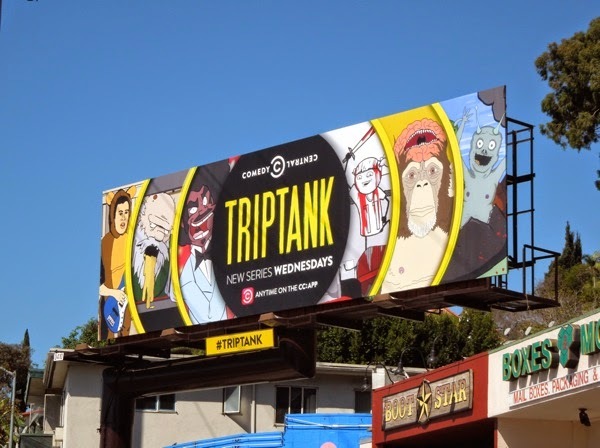 This series premiere billboard for TripTank was spotted along the Sunset Strip on April 7, 2014, and if you like this ad, be sure to check out these other billboards for animated comedies like Brickleberry, South Park and Futurama that have graced Comedy Central's prime ad location in the past. 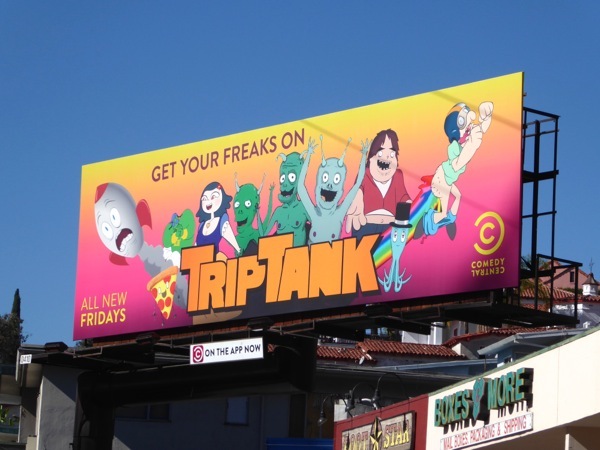 UPDATED: TripTank is back for a sophomore season of adult animated fun, so 'get your freaks on' with this colourful season two billboard snapped along L.A.'s Sunset Strip on November 6, 2015.